This month’s candlelight service bids a fond farewell to Christmastide by relating the final chapter in the Christmas story: the Presentation of Christ in the Temple and the Purification of Saint Mary the Virgin. Music will include works of Byrd, Stanford, and Vaughan Williams. Go to evensong.ststeve.com for details. Visitors of all faiths are always heartily welcomed to join us in prayer, and all are invited to remain for a light wine & cheese reception following the service. Admission is free of charge, however a freewill offering will be received in aid of the choir’s charity, the Christ Child Society of Baltimore. 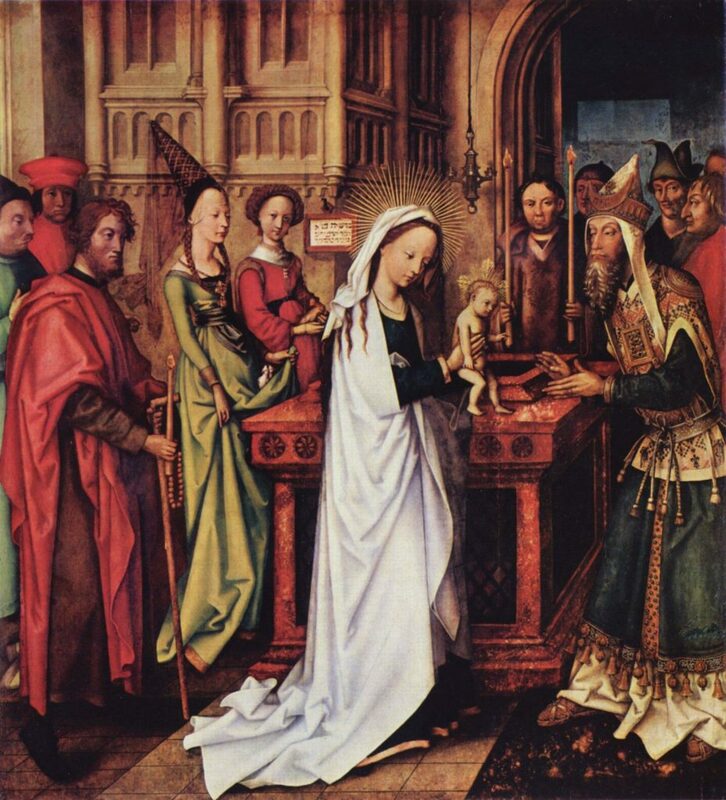 The Presentation of Christ in the Temple, by Hans Holbein the Elder (c. 1460—1524). From Wikipedia.